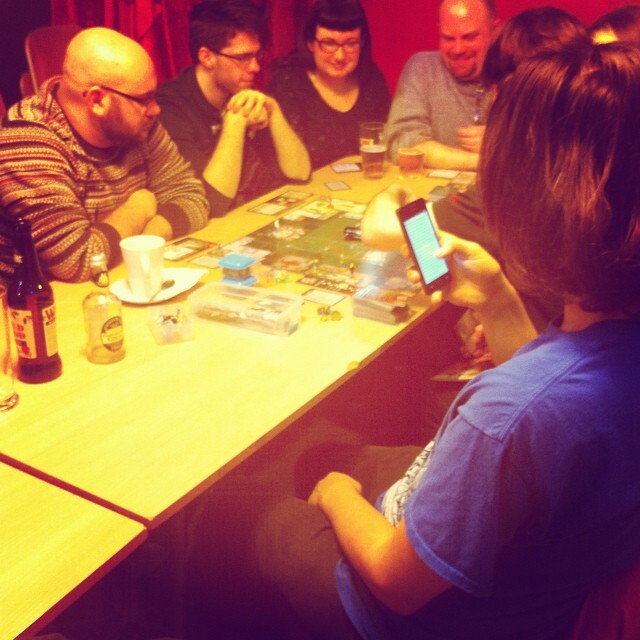 A friendly and informal monthly group on the first Tuesday of each month for board-game fans. You are encouraged to bring your own games or just join in with the ones others have brought along. If there’s something you fancy trying, ask and see if someone can bring it. If there’s something you’ve got, but don’t know if enough others are keen, again you can ask here. We hope to have a a mix of games, from well-known ones like Monopoly, Risk and Scrabble, to less familiar ones that others may not have played before; from quick-and-simple to long-and-epic, there should be something for everyone. What gets played depends on what’s brought along and what people feel like playing. The definition of ‘board’ is pretty broad, so feel free to bring card-and dice-based games too – but not role-playing games as such (you know, Dungeons and Dragons etc); the aim’s to play things that can be completed in an evening. If you’re bringing something that takes a while to set up (like some of the Cthulhu-themed games), feel free to turn up a little bit earlier so you can start at 7. Hope that all sounds splendid! Please join the friendly Facebook group for updates and discussions in between meetups! Cost: This event is by ‘Magic Hat’ donation – we suggest £3 as a guide amount. Your donations are truly important and deeply appreciated, but the intention is that no one ever miss this lovely group meetup if they are short of funds – so please never allow financial hardship to keep you away. The cafe will be open serving drinks – hot, cold and alcoholic, snacks, cakes and there’ll be our special Twilight menu available until 9pm if you want to grab a bite to eat.